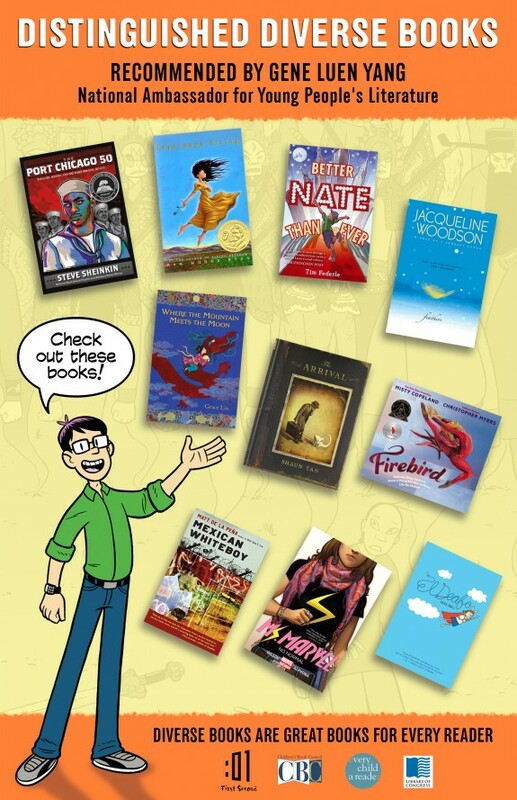 Developed by the National Ambassador for Young People's Literature, Gene Luen Yang, the Reading Without Walls program encourages kids to read outside their comfort zones by experiencing the stories of people and places that may be unfamiliar. This year, the St. Timothy's School Library is taking the challenge! And not only will we participate in Mr. Yang's April program, but we are going to extend it into a year long event. All year, students will be encouraged to read books in different formats, from different points of view and books that take them to places they've never been. Using the 2017-18 Bingo Card to keep track of their reading, students can earn prizes as they EXPLORE diverse literature of all kinds. Students will get a BINGO card with different challenges in the squares. Challenges can be completed in any order, but for every FIVE across, you earn a prize! Only books completed after Oct. 15 will be counted. Books read for class assignments can be used.